Welcome back. Although I live on my wife’s family farm in Wisconsin, I have no farm duties, not even to kibitz. But occasionally something arouses my interest. When I heard local farmers were thinking about growing industrial hemp, I was curious. Why grow hemp? Why weren’t they already growing it? How does it differ from marijuana, which Wisconsin hasn’t legalized for any purpose? I found the popular, scholarly and government literature about all things hemp could keep me going for weeks. Here’s a sample of what I learned. 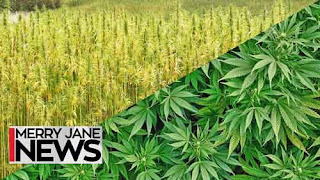 Hemp and marijuana are the same plant species, Cannabis sativa; however, hemp has been bred to produce low levels--and marijuana, high levels--of tetrahydrocannabinol (THC), the chemical responsible for most of marijuana’s psychoactive properties. In the U.S., the legal distinction is that hemp has less than 0.3% THC, while marijuana has much higher levels. Hemp has been used for thousands of years. Someone counted that today its fiber, seed and oil have over 25,000 uses, with more than 5,000 applications in the textile industry alone. Producing the strongest natural plant fiber, hemp is used widely for pulp and paper, rope and twine, construction materials, animal bedding and mulch, in addition to textiles. Nevertheless, its primary market may be as a food and feed product. The plant provides up to 24% protein; essential amino acids and the ideal 1:3 ratio of omega-3 to omega-6 for cooking, salad dressing and dietary supplements as well as for confectionery, snacks, dietary fiber, beer, flour, baking, non-dairy milk, cheese and animal feed. Along with uses in cosmetics, biodegradable plastics, paint and biofuel, secondary products are being tested in clinical trials for treatment of childhood epilepsy, and health benefits have been claimed for chronic pain, Parkinson’s, muscular dystrophy, restless leg symptom and other neuro-muscular complications. At least 23 countries grow hemp commercially, including Australia, Canada, France, Germany, Great Britain and China. The U.S. is not on that list. 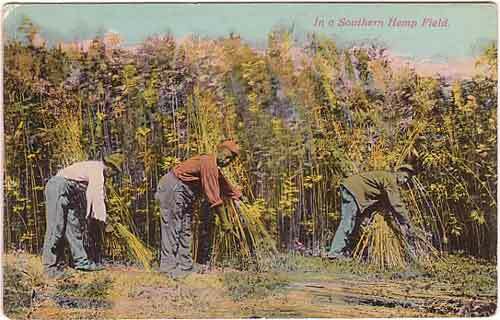 Cultivation of hemp in the U.S. began with the first settlers in the 1600s and was encouraged for years. That changed in the early 1900s when states started labeling cannabis a poison. Prohibitions followed in the 1920s, and the first national regulation, the Marihuana Tax Act of 1937, effectively shut down the hemp industry until World War II, when the country needed hemp fiber for the war. The end of the war ended the campaign to grow hemp. The crop was banned internationally in 1961 under the United Nations’ Single Convention on Narcotic Drugs, and in 1970, it became illegal in the U.S. under the Controlled Substances Act. The hemp world brightened in the 1970s, when THC was identified as the psychoactive component of marijuana, and the two plants could be differentiated. That light came slowly in the U.S. In 2014, President Obama signed the Federal Farm Bill, whose Section 7606, Legitimacy of Industrial Hemp Research, allowed universities and state agriculture departments to grow or cultivate industrial hemp for research under state approval. Most states and many universities moved ahead. Bigger news is that the 2018 Farm Bill (Agriculture Improvement Act of 2018) legalized hemp as an agricultural commodity and, with restrictions, included other measures to promote its cultivation. States with approved pilot programs are providing rules, regulations and notices, including requirements for growers. Drawing upon the experience in other countries and research since 2014, those states and universities are providing seed-to-harvest guidance, insofar as possible, for their local conditions. 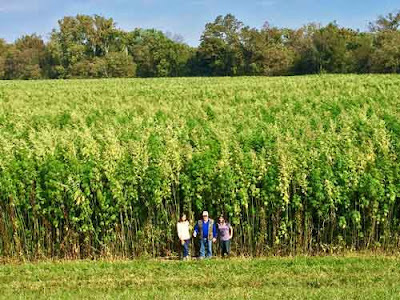 In general, industrial hemp is a hardy, fast growing, high yield crop, with a relatively short growth period, suitable for typical crop rotations. The plant’s deep roots can tap soil nutrients lost to other crops. Given a good start, it reportedly suppresses most weeds, while insect and disease problems must be managed like other crops. Though I’ve conducted field research on marijuana, seeing the first crop of hemp on my wife’s family farm will be a new experience. Thanks for stopping by.